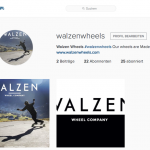 We are now although available on Instagram. 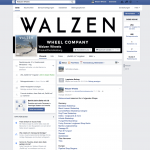 We are very proud to announce that all Walzen wheels are available now. Finally after nearly 2 years the complete lineup is ready to hit the streets. We wish you all a Happy New Year and all the best for 2016. 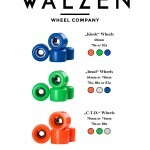 Watch out for all our new wheels that will be released the next weeks… Teamrider Roman on his home spot sliding the Walzen “Insul” wheels 70mm/78a. Check Quinboards team rider and employee of Concretewave Skateshop Jan Kreisel Saraiva skating some nice hills in Germany. 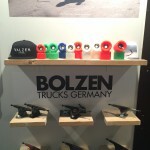 Jan skates a Quinboards proto, GOG trucks, Sunrise bearings and Walzen “Insul” wheels. 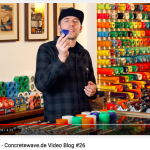 Thanks to Christian for this nice video.